I am concerned about the future as environment constraints that we’ve ignored in the past start to bite. I can’t see the future as an extension of the last twenty to thirty years because the over-indebtedness issues will overwhelm economies. Many of the developed countries facing demographic changes with the proportion of working to non-working people in the population getting much worse as the baby-boomers retire. Then there is the contentious issue of climate change and the radical actions needed to avoid chaos. In such uncertain times, it’s not wise to have your business as your only source of income and wealth. The boiled frog syndrome – if you were to drop a frog into hot water, it will jump out but put a frog in cold water and gradually warm the water and the frog will be cooked to death. Do not try this. The point is that gradual change can be taken for granted and appear non-threatening until it is too late. The killer weeds in the village pond analogy – a village depended on a local pond for its source of fresh water and fish. One day a killer weed started to germinate and it doubled in size each day. The villagers didn’t notice until it was too late because of the difficulties of understanding compounding. Working backwards from 100% coverage – 50% – 25% – 12.5% – 6.25%. In just four extra days this went from a minor but noticeable problem covering 6% of the pond where villagers thought they must get around to doing something soon to a terminal situation. 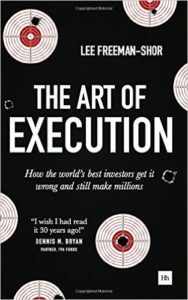 The Art of Execution: How the world’s best investors get it wrong and still make millions in the markets by Lee Freeman-Shor – This will change the way you invest (if you’re sensible). The End of Growth: Adapting to our new economic reality by Richard Heinberg – a book that shows just how stupid and reckless we’ve been as a worldwide society in the late 20th and early 21st centuries. 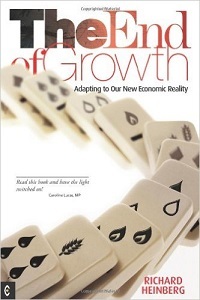 I was thoroughly shaken by the time I’d read this book and I’ve come to access that the past average of 2% to 3% annual economic growth isn’t going to be what we see in the future. 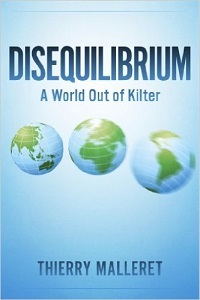 Disequilibrium: A World Out Of Kilter by Thierry Malleret – This short book helps to bring together lots of diverse issues about the future. I must read it again because it deserves to be much better known. 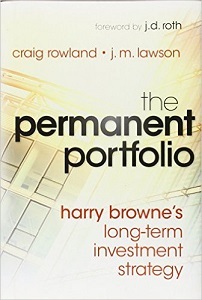 The Permanent Portfolio: Harry Browne’s Long-Term Investment Strategy by Craig Rowland – this is an excellent book that explains diversification across four major asset classes and how it fits in with various stages of the economy. Where There’s Greed: Margaret Thatcher and the Betrayal of Britain’s Future by Gordon Brown – an old book by the former British prime minister. Demographics and the Stock Market Crash of 2015 – 2016: Baby Boomer Retirement and How to Survive the Stock Market Crash and The Coming Economic Depression by Edward Cheung – Demographic issues are too important to ignore. Print: The Central Bankers Bubble by Lindsay David – QE has the markets addicted to monetary heroin. The Demographic Cliff: How to Survive and Prosper During the Great Deflation of 2014-2019 by Harry S. Dent Jr – this is an important book that highlights the influence of demographics on our near-term future. It’s marked down because I’ve read other books by the author and much of it I’d read before but this is probably the best place to start. The Only Game in Town: Central Banks, Instability, and Avoiding the Next Collapse by Mohamed A El-Erian – In praise of central bankers but they need help. Global Value: How to Spot Bubbles, Avoid Market Crashes, and Earn Big Returns in the Stock Market by Mebane Faber – a look at the cyclically adjusted price earnings ratio (CAPE) measure as a predictor of bubbles but I thought it was disappointing. The Ivy Portfolio: How to Invest Like the Top Endowments and Avoid Bear Markets by Mebane Faber – This book has received plenty of praise but I was left disappointed in what I learnt and could apply. The Predator State: How Conservatives Abandoned the Free Market and Why Liberals Should Too by James K Galbraith – this was published in August 2008, just before the financial crash and things have moved too far for it to be relevant today. Smarter Investing 3rd edn: Simpler Decisions for Better Results by Tim Hale – widely recommended by I was underwhelmed. Afterburn: Society Beyond Fossil Fuels by Richard Heinberg – a collection of articles that considers various aspects of life when we can’t rely on plentiful and cheap fossil fuels. The Committee to Destroy the World: Inside the Plot to Unleash a Super Crash on the Global Economy by Michael E. Lewitt – This is an update to a book previously called The Death Of Capital. Is Portfolio Rebalancing Worth It? by Dale C. Maley – The answer seems to be that it depends. The Global Addiction to QE: The Most Important Topic Affecting your Retirement by Michael Mattie – not as insightful as I’d hoped. The Coming Economic Ice Age, Five Steps To Survive and Prosper by Robert D McHugh – this book introduced me to Elliot Wave Theory but I wasn’t convinced by it. Index Funds by John McQuilkin – for beginners only. Bear Market Rising: Profit from the Bursting of the Cheap Money Bubble by David Skarica – It makes a strong case that there is a bear marketing heading our way in 2016 or later but you’ll need to read other books to understand how to invest. The Beginning Of The End by Michael Snyder – this is a novel that looks at the end of the world but it turns into a biblical story that the prophecies in the Book Of Revelations are starting. Market Timing: A Simple, Proven Stock Investing Strategy for Consistent Returns by Alton Swanson – this is very much a summary with lots of caveats. Relative Strength Index: Your Step-by-Step Guide to Profitable Trading with the RSI Indicator by Alton Swanson – A nice summary of RSI but I think you need a broad understanding of other techniques as well. What Went Wrong: The Big Picture: How the 1% Hijacked the American Middle Class . . . and What Other Countries Got Right by George R Tyler -the author blames Reagonomics for our current problems but I feel that the changes made by Ronald Reagan and Margaret Thatcher were very much needed but we never zagged back to correct initial problems. RSI Trading: How to Build a Profitable Trading System Using Relative Strength Index by Glenn Wilson – Not the place to start learning about the Relative Strength Index. Broke: Who Killed the Middle Classes? 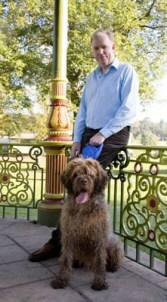 by David Boyle – I was disappointed in this one. Get Ready, Be Prepared: A global crash in the financial markets is coming by Christo Nel – God has told the author to tell everyone else to prepare for a crash. Five Stages of Collapse by Dmitry Orlov– society will breakdown in stages as the world has to face up to new realities. 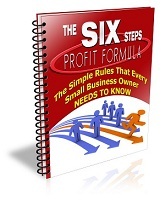 The author is overflowing with ideas but sadly it isn’t well structured. Just Money: How Society Can Break the Despotic Power of Finance by Ann Pettifor – a mixed bag of a book arguing that money is a social construct based on trust. The Shareholder Value Myth: How Putting Shareholders First Harms Investors, Corporations, and the Public by Lynn A Stout -a harsh look at capitalism that I believe creates a straw man and doesn’t present a sensible argument. The Spirit Level: Why Equality is Better for Everyone by Richard Wilkinson and Kate Pickett – a left wing manifesto for tackling inequality but it’s since been revealed that the authors have been extremely selective about the data they used and, when a more inclusion review is made, the case withers away.